It’s been some time between drinks for Tame Impala—at least in terms of new music. Last in the country for their final round of shows supporting their 2015 epic, ‘Currents’, for Laneway Festival at the beginning of the year, the group have continued the album’s support with a newly announced collectors edition. Released 17 November, the vinyl-exclusive printed on 12″ red marble comes with two new remixes along with 7″ flexidisc with three b-sides printed on it. It comes with alternate cover art, a poster, zine and further goodies offering, “a candid glimpse into the making of ‘Currents'”. 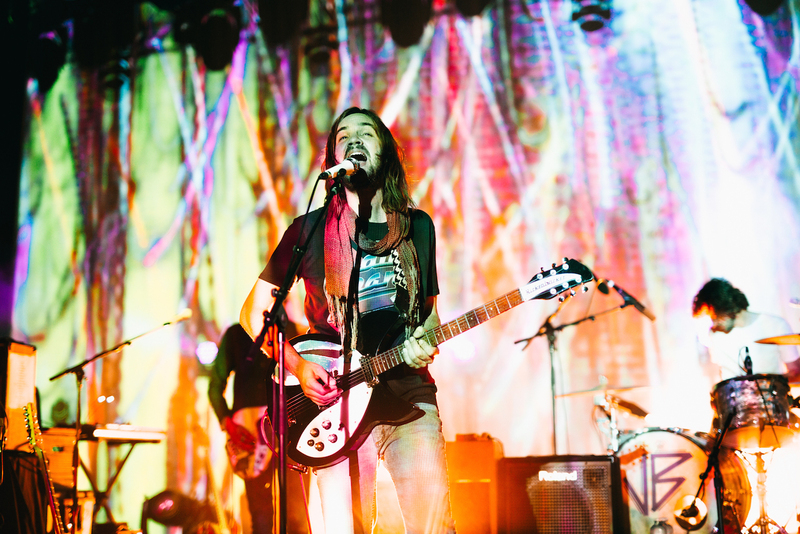 Tame Impala also released an accompanying video to go with the announcement. It shows Kevin Parker in his rightful domain in a jamming and recording session for ‘Currents’. He moves from instrument-to-instrument looping its melodies into a whirring and blissful jam that didn’t make the cut of the album. Parker makes it look so effortless. Pre-orders are currently open for $100 special edition version and can be viewed HERE.